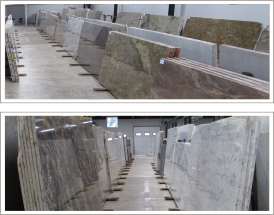 Our Slab Selection Gallery is home to a rotating stock of exotic granite & marble slabs. You will also find classic natural stone colors to fit any budget. Once you reserve your stone, we will help you select all the details of your project from fabrication to final installation. Make an appointment today to find the perfect slabs for your dream kitchen. We are conveniently located in the Buckhead area.